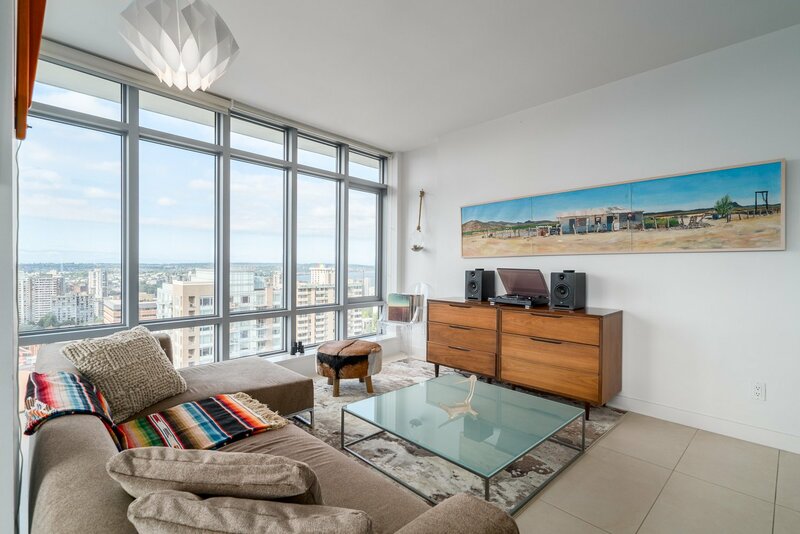 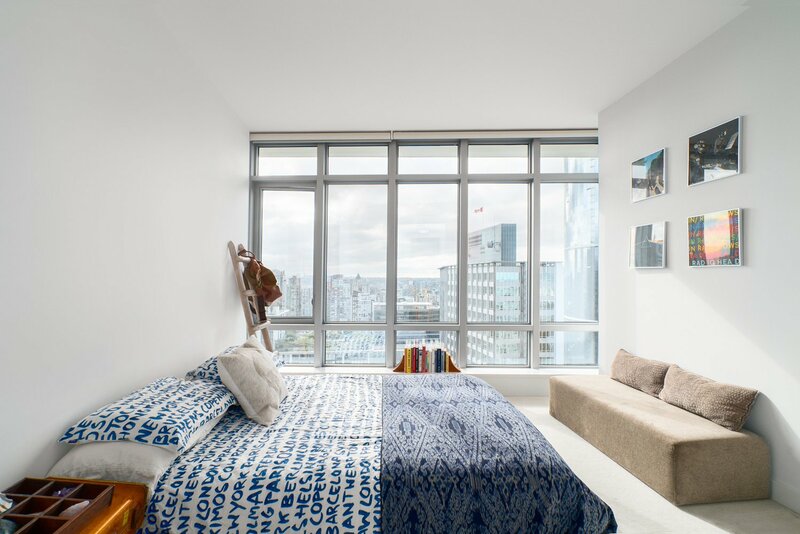 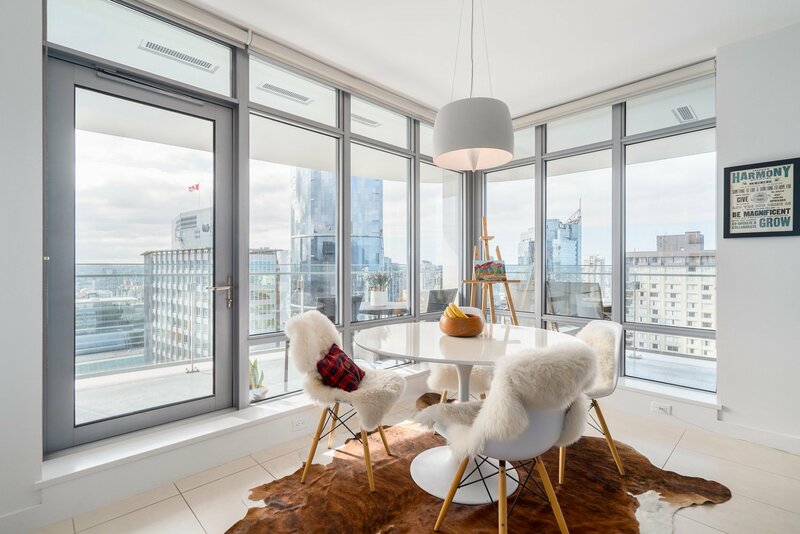 Welcome to your luxury modern condo at “Patina,”a first-class view residence developed by Concert Properties and featuring modern architectural style homes. 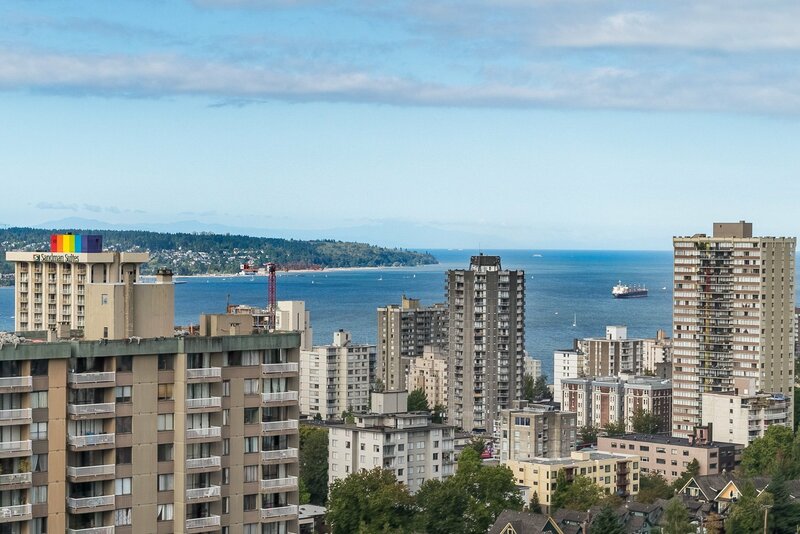 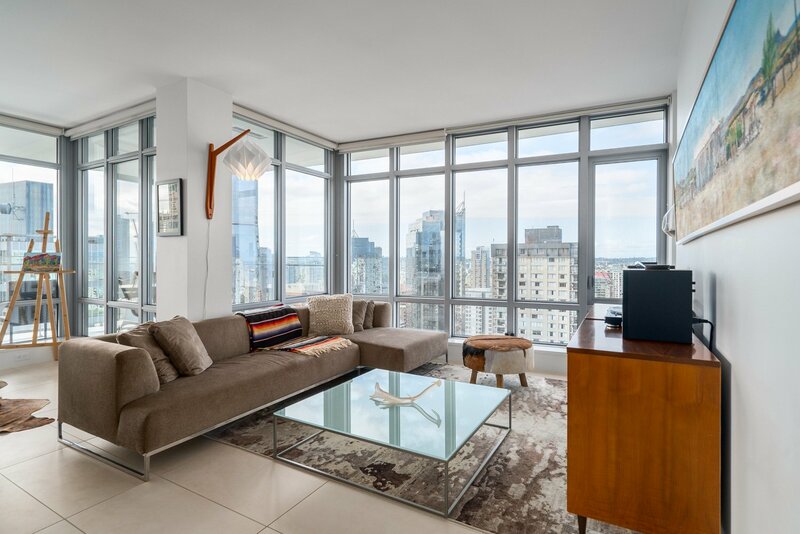 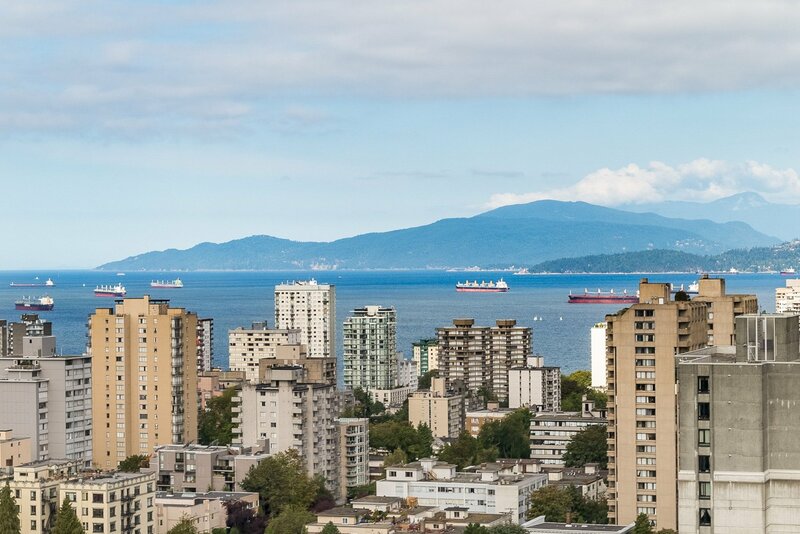 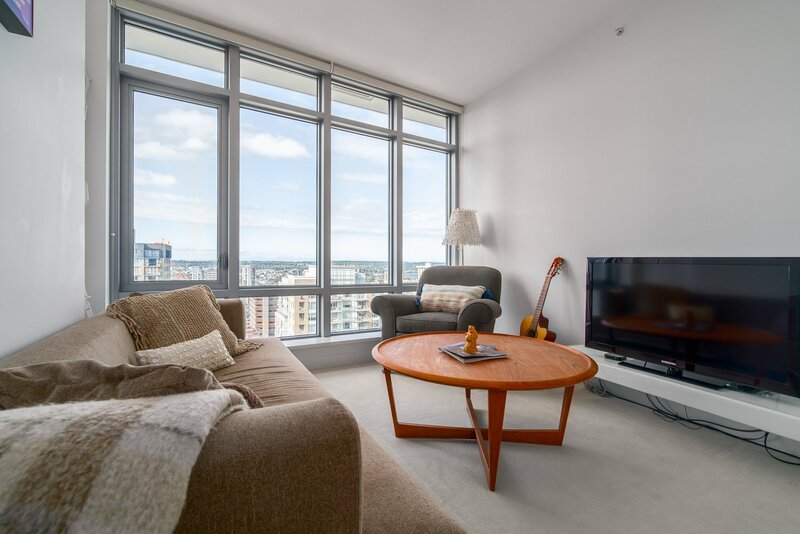 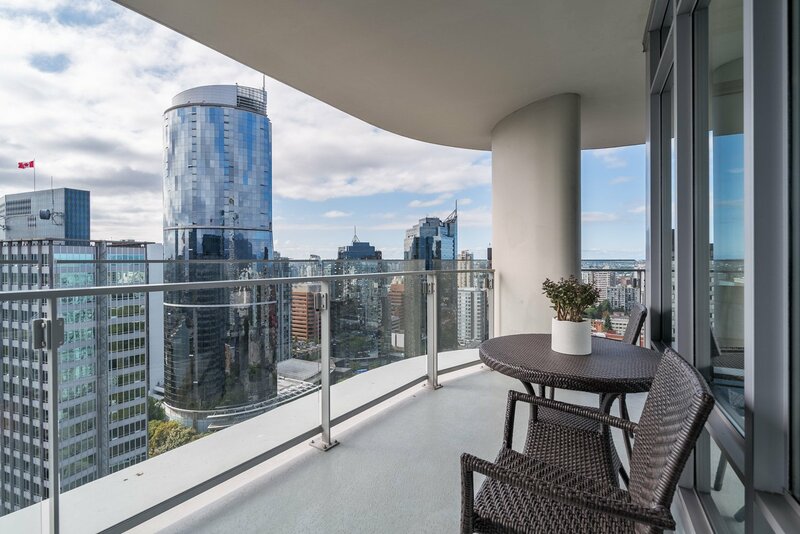 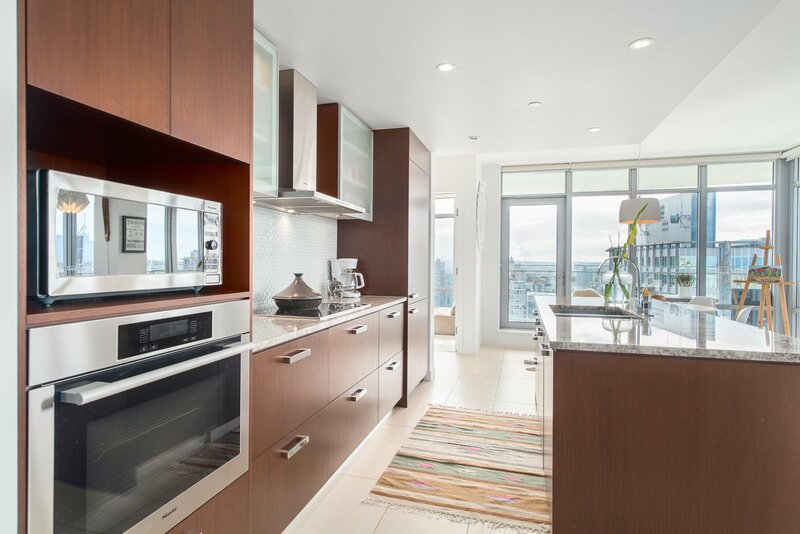 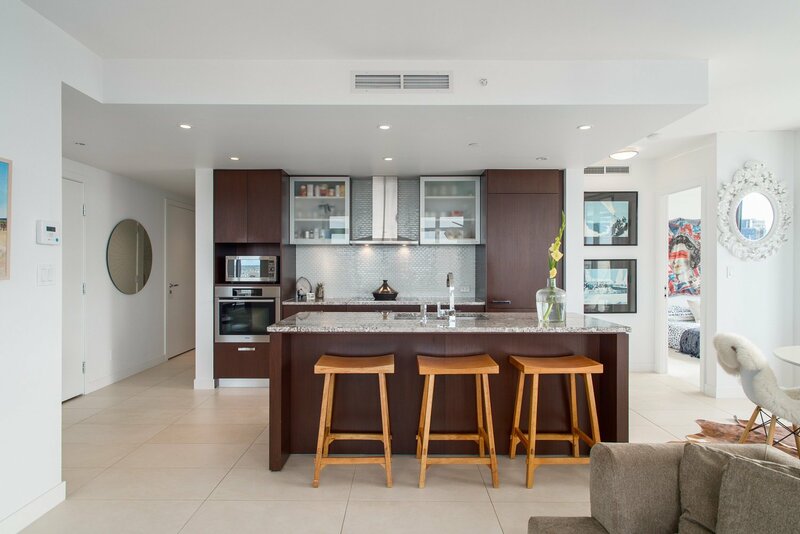 This beautiful 27th floor 2 bedroom, 2 bathroom, plus den condo features beautiful East, South, and some Western views. 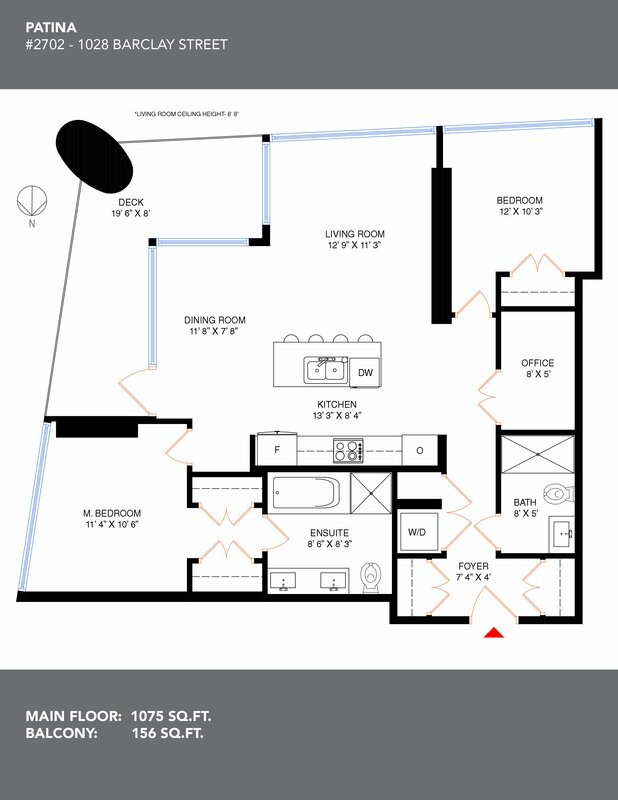 Spacious 1075 sq.ft. 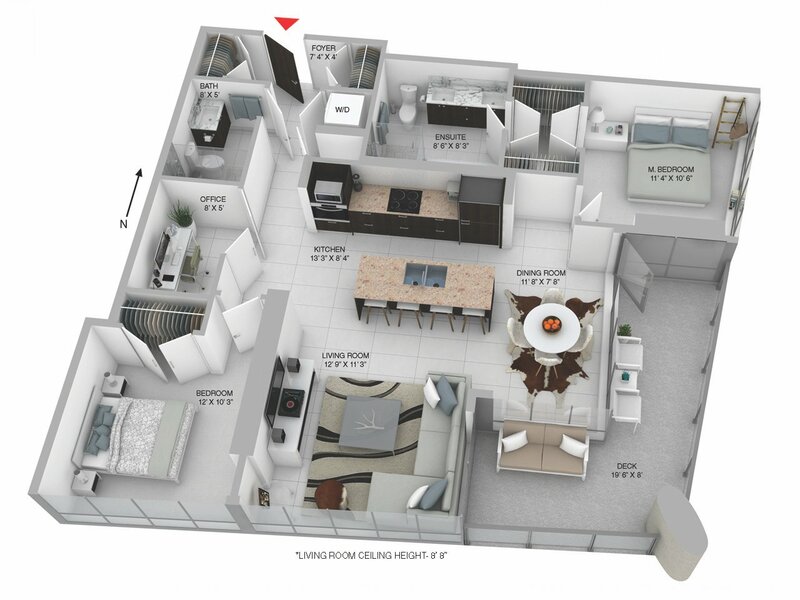 plan with two separated bedrooms, large 156 sq.ft. 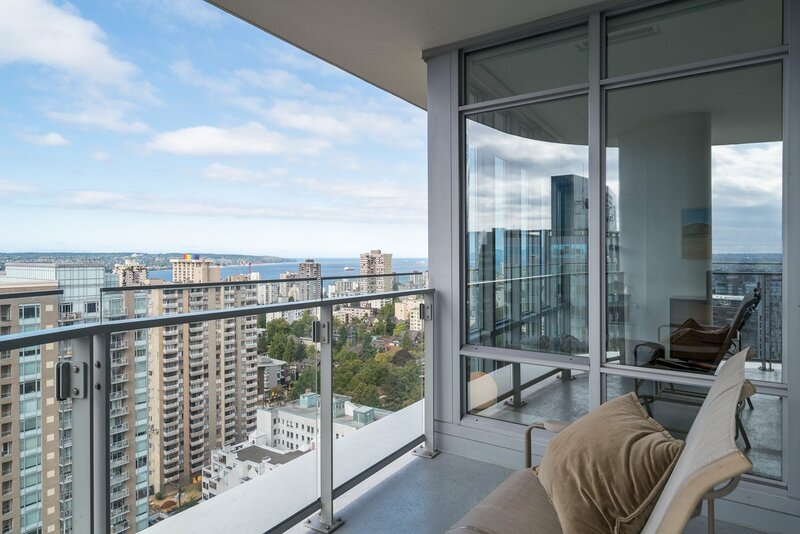 wrap around balcony, high 8’6” ceilings, corner suite with plenty of windows allowing plenty of light and expansive views. 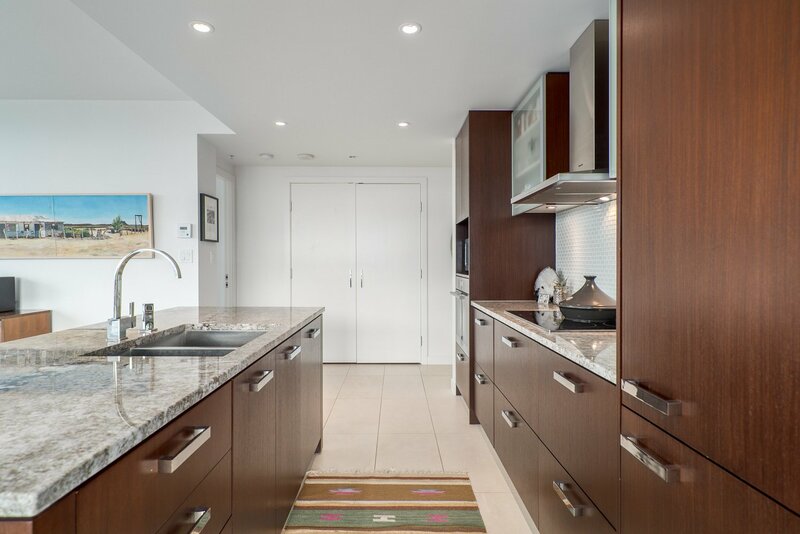 A fully air-conditioned home with luxury finishings in each room including; porcelain tile flooring, European style kitchen with integrated appliances, stone counters, and European appliances from Liebherr and Miele. 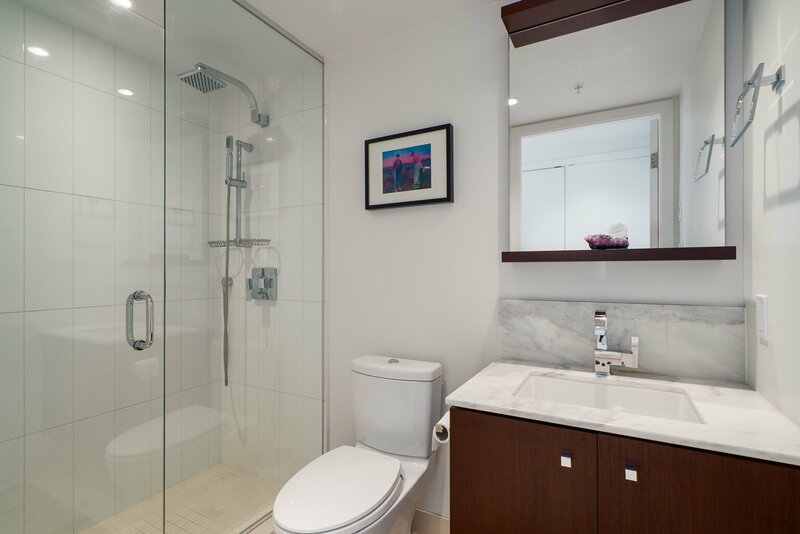 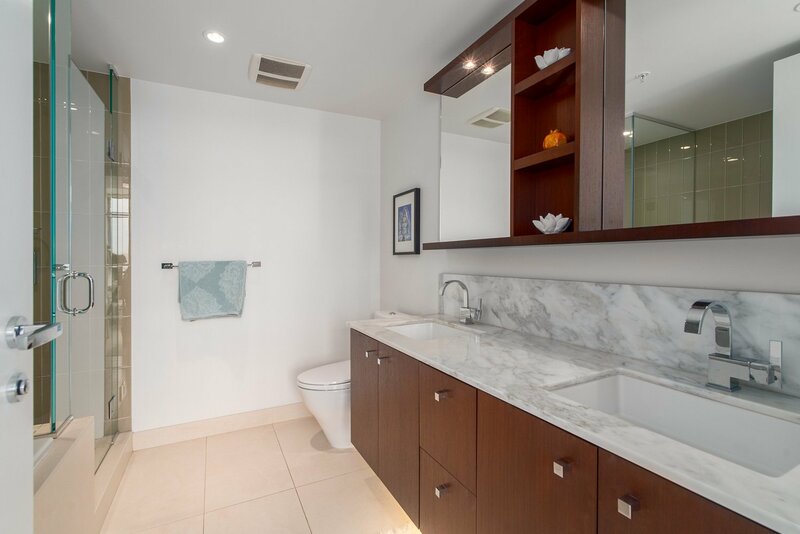 Two spacious bathrooms have Italian glass tiles, heated floors in the master bathroom, marble surfaces, and floating wood cabinetry. 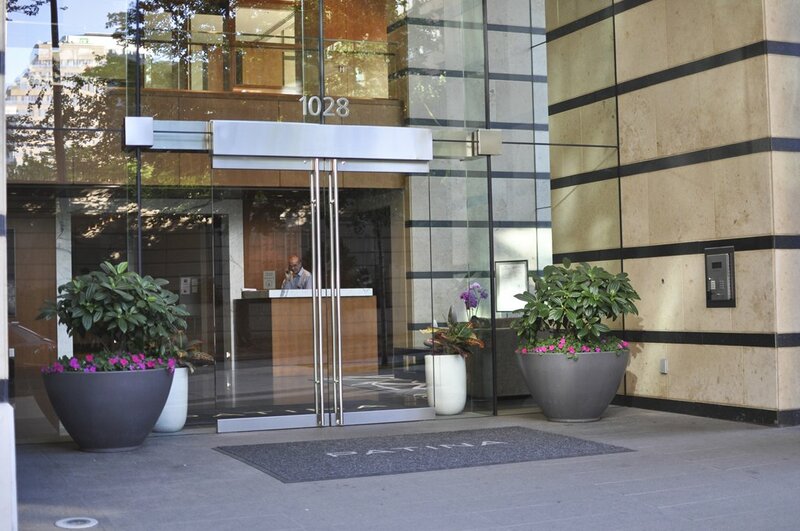 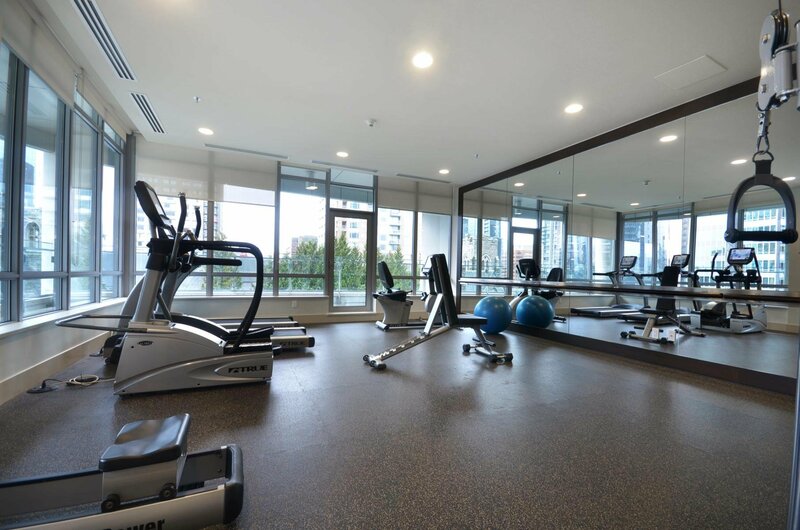 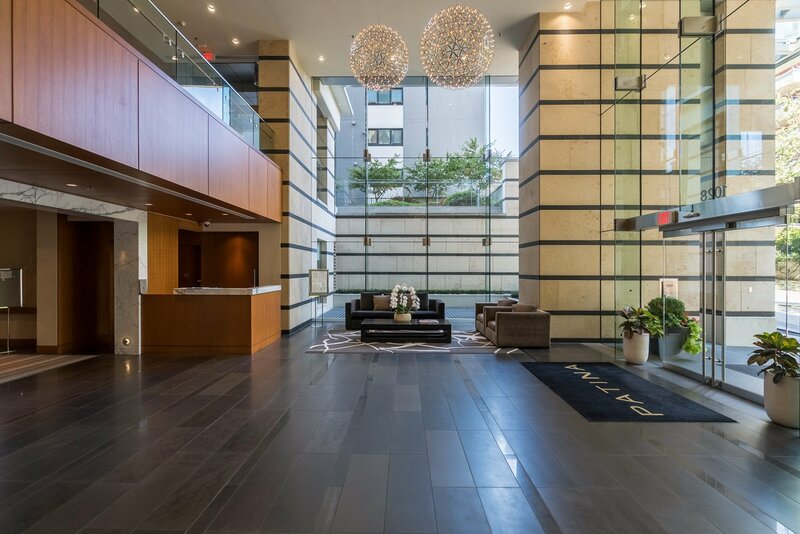 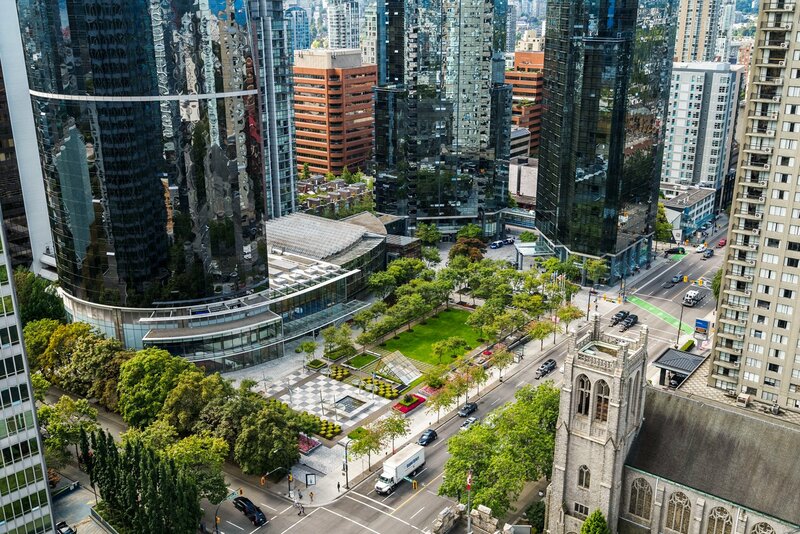 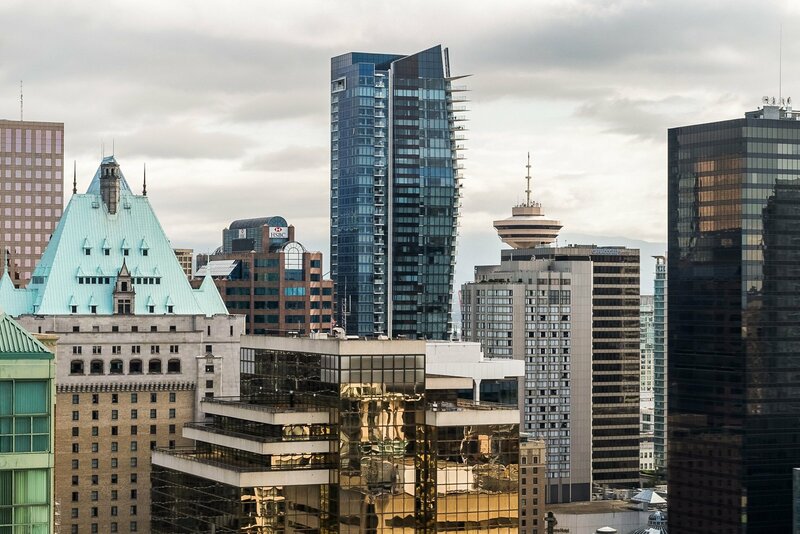 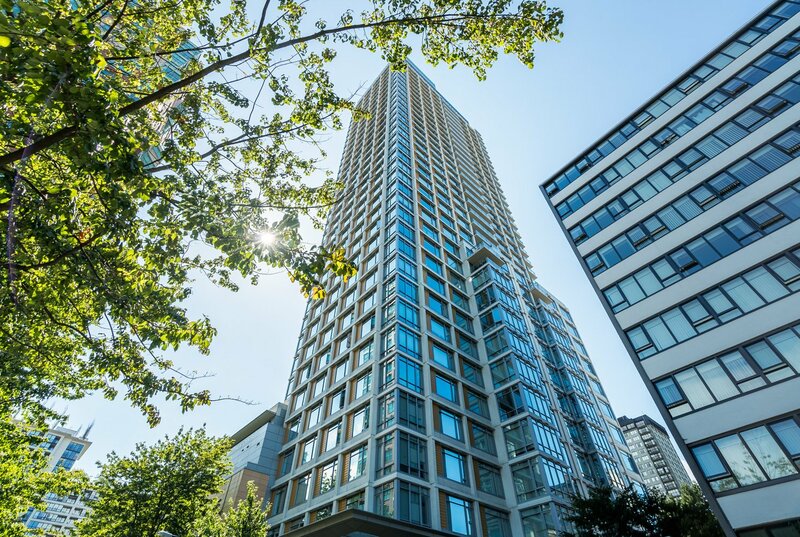 The building features a fitness centre, 1 parking stall, party room, business lounge, concierge, visitor parking, located steps from Downtown’s best amenities including Robson Street shopping and entertainment district. 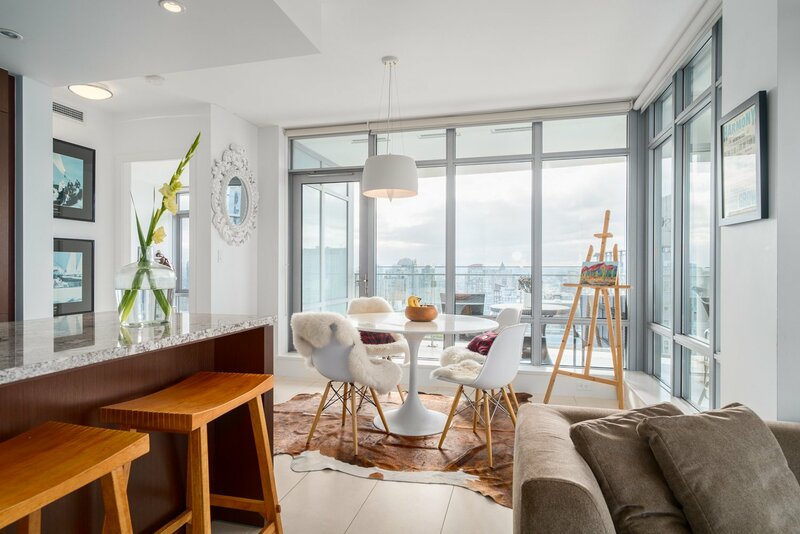 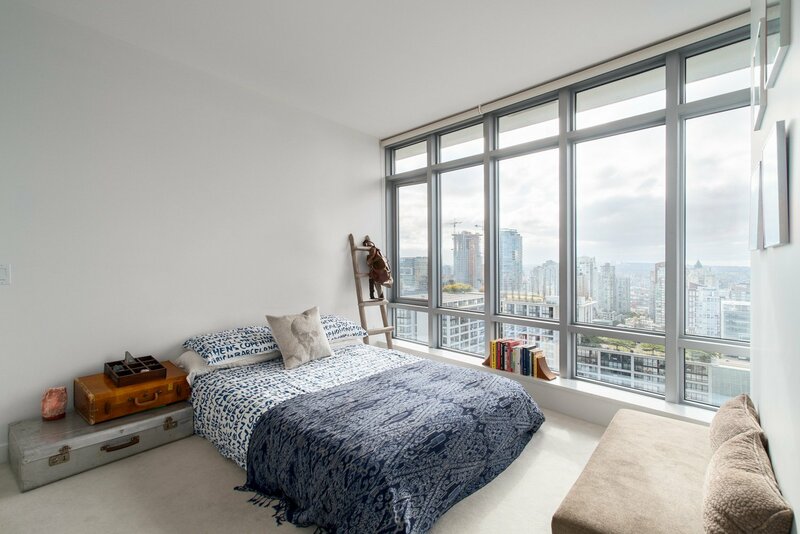 A beautiful two bedroom condo made for the design conscious buyer.